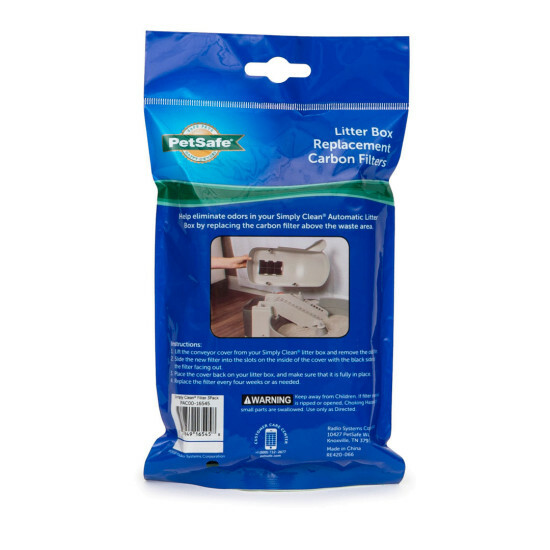 The PetSafe® Litter Box Replacement Carbon Filters help eliminate odors in your PetSafe® Simply Clean® Automatic Litter Box. Simply slide the filter in the slots under the litter box conveyor cover. 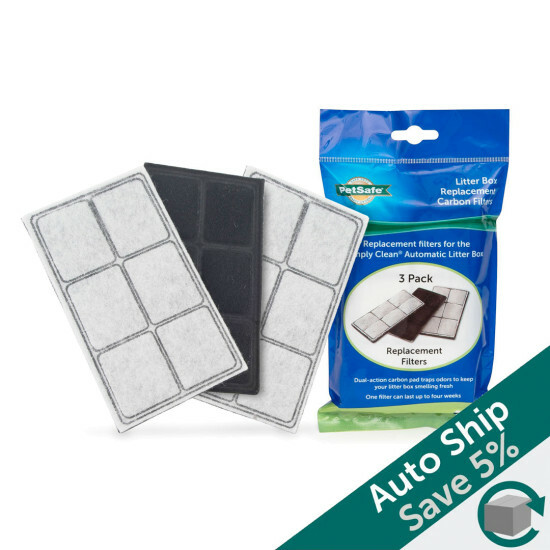 The dual-action carbon pad traps odors to keep your kitty’s litter box smelling fresh. 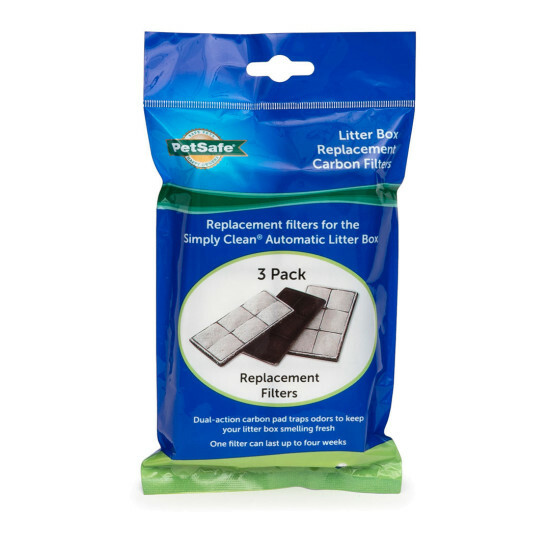 One filter can last up to four weeks.